The Changos de Naranjito are a professional volleyball team based in Naranjito, Puerto Rico. The team is the most successful franchise in any sport in Puerto Rican sports history. 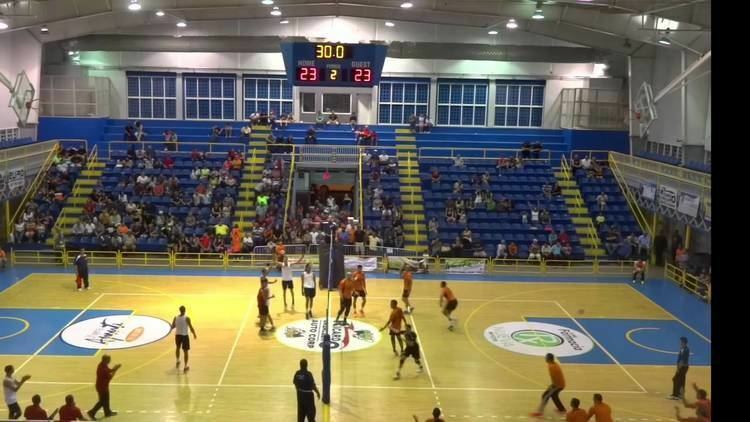 Known for their huge fan base and Guinness World Book Record of 23 national men's volleyball championships, the Changos de Naranjito are the island's winningest sports franchise in Puerto Rico. Their main rival is the Plataneros de Corozal. This rivalry has been labeled as "El Duelo de la Montana", because of their historical battles throughout the years and geographical proximity. 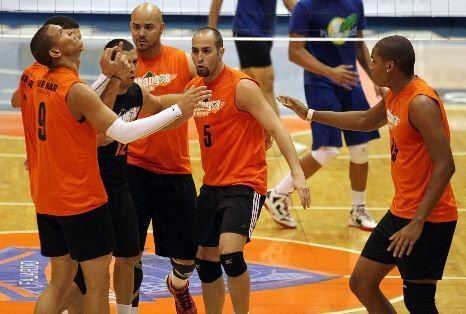 They held a battle for the ages in the 2007 LVSM men's volleyball finals with the Changos defeating Corozal in a 7th game held at the Ruben Rodriguez Coliseum in Bayamón, Puerto Rico. The team colors are: orange, white and black. The history of volleyball in Naranjito goes back to 1915. In 1911, Reverend Howard T. Jason arrived in Naranjito to preach for the Presbyterian Church, finding resistance in this devoutly Catholic town. In 1915, two North American professors known as Mr. Esbaugh and Mr. Foster arrived in town and brought volleyball to Naranjito, attracting the town's youth. Reverend Jason took the opportunity to approach and share with the town's youth as well, helping the professors teach the game's rules, subsequently making friendships. Reverend Jason remained in Naranjito until 1920, during which time he moved to the neighboring town of Corozal. Having now a good knowledge of the sport, he utilized the same technique of teaching the sport to young kids in order to get acceptance in town. Whenever he had the chance, Rev. Jason would create tournaments between teams both in Naranjito and in Corozal, which fueled a rivalry between both towns that lives to this day. In 1938, Naranjito finally had a professional volleyball team, joining the North and South association as a professional team in 1940. Naranjito won five championships during this period. In 1958, Naranjito joined the Puerto Rican Volleyball Federation. Since 2004, Los Changos have the Guinness World Record in volleyball for the Most Championships in the world with 23 between 1958 and 2015. The team has the expectations to obtain the Guinness World Record for the most championships of any team in all of sports. The awesome record of the Changos include in 48 seasons: 23 Championships, 10 Runners-up, 42 Semi finals, 6 consecutive championships 1988-1993, 5 consecutive championships 1995-1998, 2003–2007, 13 consecutive finals 1995-2007. In the last 24 seasons (1984–2007) the team obtained 23 finals, 18 championships and 5 runners-up. In 1974 the league did not celebrate the tournament. The team always plays their home games at the Gelito Ortega Coliseum in Naranjito, which is located about 40 minutes from the Capital San Juan. The Coliseum has a capacity for 3,000 spectators. Naranjito's new Coliseum is under construction and will have a capacity for 8,000 spectators. The construction of the new coliseum is supposed to be finish for the next year 2009. This season was dedicated by the team for a local team-association "Los Batatas". Note: Flags indicate national team as defined under FIFA eligibility rules. Players may hold more than one non-FIFA nationality. This season was dedicated by the team for the Modesto Nieves Family. Note: Flags indicate national team as defined under FIFA eligibility rules. Players may hold more than one non-FIFA nationality. This season was dedicated by the team for the boxer Félix "Tito" Trinidad. Note: Flags indicate national team as defined under FIFA eligibility rules. Players may hold more than one non-FIFA nationality. This season was dedicated by the team in the memory of Roberto Walker Clemente. Note: Flags indicate national team as defined under FIFA eligibility rules. Players may hold more than one non-FIFA nationality. This season was dedicated by the team in the memory of Maralisa Colón Berríos. Note: Flags indicate national team as defined under FIFA eligibility rules. Players may hold more than one non-FIFA nationality.